Directed by Mill+’s Russell Tickner, The Mill helped to create the Design Museum’s latest series of campaign films. 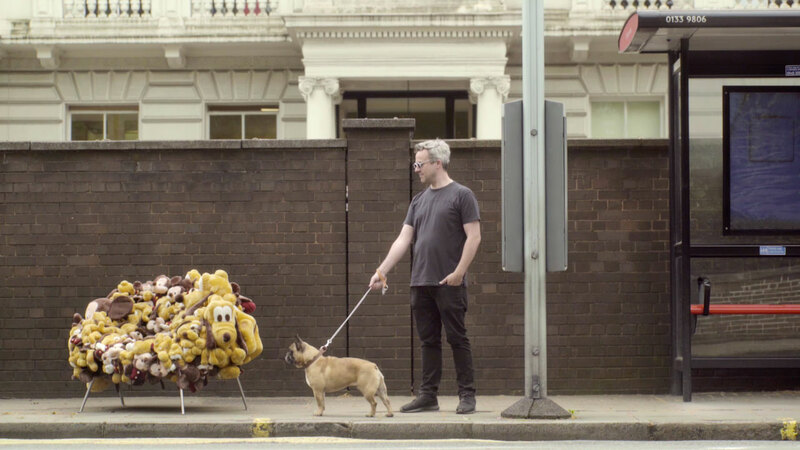 The series of 12 films show iconic objects from the Design Museum’s collection traveling across London and making their own way from Shad Thames to their new building in Kensington. The films feature an Apple iMac G3 riding a skateboard, a Valentine Typewriter hitching a lift, a Melodic Kettle traveling the tube and a Campana Brother’s Cartoon Chair waiting to catch a bus. The films form part of the 'Adopt an Object' campaign which invites members of the public to adopt objects from the Design Museum's collection in a crowdfunding initiative to raise the final funds needed to pay for its new home on Kensington High Street. Mill+ Director Russell Tickner comments; "As a Design graduate I was especially pleased to have the opportunity to work on these films for the Design Museum. The production was a fast rolling schedule with 12 spots to shoot over 2 days at different locations across London, with the Design Museum entrusting us to go on the road with valued items from their collection. The Creative team had a very clear idea of how the scenes were to be played out, allowing us to work through so many scenarios so quickly. It was a really fun project to be involved in; how often do you have your own underground station and train? I’m looking forward to the new Design Museum opening, it will be like visiting old friends…"